Australia is experiencing its driest period in 58 years, with 100% of its land area, more than 309,000 square miles, now in drought. The sweltering heatwave afflicting America is devastating farmers across the country and will increase food prices across the world. Water providers are coming under pressure from the industry watchdog to make sure drought-stricken parts of Britain are helped by areas with more plentiful supplies. Regulator Ofwat says the water industry must find creative ways of working to meet challenges posed by a bigger population and climate change. It also wants customers to be given a stronger voice on how water companies deliver services. Parts of East Anglia - whose water is supplied by Cambridge Water, Essex and Suffolk Water and Veolia Water East - are also no longer classed as in drought, following the review by the Environment Agency. There are no water restrictions in place for their customers. 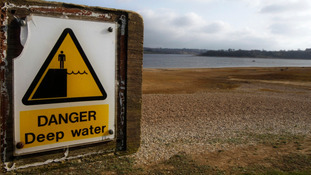 Environment Agency chief executive Dr Paul Leinster has said that despite 'drought status' being lifted, many parts of England have similar "groundwater levels" to those in 1976. The recent record rainfall has eased pressure on water resources in some parts of England, helping levels in rivers and reservoirs to recover and providing relief to farmers, gardeners and wildlife. Low groundwater levels remain a concern across many parts of England, with many still at a similar level to those in 1976 and unlikely to return to normal levels before the winter. A return to a long period of dry weather would increase the risk again. England's biggest water company, Thames Water, said it could rule out applying for a Drought Order allowing it to impose more serious restrictions on water use following the weeks of heavy rain. It is a great relief for us that we can now rule out seeking a Drought Order this year. No water company wants to impose restrictions on its customers for any longer than absolutely necessary. Despite all the recent rain, we still have a serious groundwater shortage, and we could yet have a long, hot summer, so, much as we'd love to, it would be irresponsible for us to lift the hosepipe ban just yet. Water companies in the South West, the Midlands and Yorkshire are unlikely to impose hosepipe bans on customers this summer, the Environment Agency said today. The announcement follows the lifting of 'drought status' from 19 areas in England.